Cosmopolitanism is the ideology that all human beings belong to a single community, based on a shared morality. A person who adheres to the idea of cosmopolitanism in any of its forms is called a cosmopolitan or cosmopolite. A cosmopolitan community might be based on an inclusive morality, a shared economic relationship, or a political structure that encompasses different nations. In a cosmopolitan community individuals from different places (e.g. nation-states) form relationships of mutual respect. As an example, Kwame Anthony Appiah suggests the possibility of a cosmopolitan community in which individuals from varying locations (physical, economic, etc.) enter relationships of mutual respect despite their differing beliefs (religious, political, etc.). Various cities and locales, past or present, have or are defined as "cosmopolitan"; that does not necessarily mean that all or most of their inhabitants consciously embrace the above philosophy. Rather, locales could be defined as "cosmopolitan" simply by the fact of being where people of various ethnic, cultural and/or religious background live in proximity and interact with each other. The word derives from the Greek κοσμοπολίτης, or kosmopolitês, formed from "κόσμος", kosmos, i.e. "world", "universe", or "cosmos", and πολίτης, "politês", i.e. "citizen" or "[one] of a city". Contemporary usage defines the term as "citizen of the world". Cosmopolitanism can be defined as a global politics that, firstly, projects a sociality of common political engagement among all human beings across the globe, and, secondly, suggests that this sociality should be either ethically or organizationally privileged over other forms of sociality. In his 1795 essay Perpetual Peace: A Philosophical Sketch, Immanuel Kant stages a ius cosmopoliticum (cosmopolitan law/right) as a guiding principle to protect people from war, and morally grounds this cosmopolitan right by the principle of universal hospitality. Kant there claimed that the expansion of hospitality with regard to "use of the right to the earth's surface which belongs to the human race in common" (see common heritage of humanity) would "finally bring the human race ever closer to a cosmopolitan constitution". The philosophical concepts of Emmanuel Levinas, on ethics, and Jacques Derrida, on hospitality, provide a theoretical framework for the relationships between people in their everyday lives and apart from any form of written laws or codes. For Levinas, the foundation of ethics consists in the obligation to respond to the Other. In Being for the Other, he writes that there is no "universal moral law," only the sense of responsibility (goodness, mercy, charity) that the Other, in a state of vulnerability, calls forth. The proximity of the Other is an important part of Levinas's concept: the face of the Other is what compels the response. There is a tradition of cosmopolitanism, and if we had time we could study this tradition, which comes to us from, on the one hand, Greek thought with the Stoics, who have a concept of the 'citizen of the world'. You also have St. Paul in the Christian tradition, also a certain call for a citizen of the world as, precisely, a brother. St. Paul says that we are all brothers, that is sons of God, so we are not foreigners, we belong to the world as citizens of the world; and it is this tradition that we could follow up until Kant for instance, in whose concept of cosmopolitanism we find the conditions for hospitality. But in the concept of the cosmopolitical in Kant there are a number of conditions: first of all you should of course welcome the stranger, the foreigner, to the extent that he is a citizen of another country, that you grant him the right to visit and not to stay, and there are a number of other conditions that I can't summarise here quickly, but this concept of the cosmopolitical which is very novel, very worthy of respect (and I think cosmopolitanism is a very good thing), is a very limited concept. (Derrida cited in Bennington 1997). Bennington. Politics and Friendship: A Discussion with Jacques Derrida. 1997. A further state of cosmopolitanism occurred after the Second World War. As a reaction to the Holocaust and the other massacres, the concept of crimes against humanity became a generally accepted category in international law. This clearly shows the appearance and acceptance of a notion of individual responsibility that is considered to exist toward all of humankind. Philosophical cosmopolitans are moral universalists: they believe that all humans, and not merely compatriots or fellow-citizens, come under the same moral standards. The boundaries between nations, states, cultures or societies are therefore morally irrelevant. A widely cited example of a contemporary cosmopolitan is Kwame Anthony Appiah. Some philosophers and scholars argue that the objective and subjective conditions arising in today's unique historical moment, an emerging planetary phase of civilization, creates a latent potential for the emergence of a cosmopolitan identity as global citizens and possible formation of a global citizens movement. These emerging objective and subjective conditions in the planetary phase include improved and affordable telecommunications; space travel and the first images of our fragile planet floating in the vastness of space; the emergence of global warming and other ecological threats to our collective existence; new global institutions such as the United Nations, World Trade Organization, or International Criminal Court; the rise of transnational corporations and integration of markets often termed economic globalization; the emergence of global NGOs and transnational social movements, such as the World Social Forum; and so on. Globalization, a more common term, typically refers more narrowly to the economic and trade relations and misses the broader cultural, social, political, environmental, demographic, values and knowledge transitions taking place. Thich Nhat Hanh discusses what he calls "Interbeing" as a way of living one's life in relation to others; "Interbeing" might easily be compared to cosmopolitanism. Nhat Hanh's philosophical beliefs are grounded in the precepts of Buddhist teachings, which involve compassion and understanding to protect and live in harmony with all people, animals, plants, and minerals (88). He further describes what he calls "Mindfulness Training of the Order of Interbeing" as being aware of sufferings created by, but not limited to, the following causes: fanaticism and intolerances that disrupt compassion and living in harmony with others; indoctrination of narrow-minded beliefs; imposition of views; anger; and miscommunication (89–95). Understanding and compassion for others seems to be achieved by the understanding of others' suffering and the root causes of suffering. Therefore, to be responsible is to recognize and understand suffering, which then leads to compassion. It is through this process that others can be recognized as people. Other theorists, philosophers, and activists contend that recognizing suffering is necessary to end violence. In Scared Sacred, Velcrow Ripper takes a journey to different sites of great suffering that ultimately leads him toward developing compassion. In "The Planet", Paul Gilroy explores how the construction and naturalization of race and the hierarchies produced by difference shape the hatred of others. It is the deconstruction of these ideologies that can lead to the compassion and humanization of others. Thus individual responsibility is being aware of what Judith Butler calls the precariousness of life in self and other; being a cosmopolitan seems to be, above all, a social, ethical enterprise. In Cosmopolitanism: Ethics in a World of Strangers, Kwame Anthony Appiah notices something important about how social ethics seem to operate: Whatever obligation one might have to another, especially a foreign other, that obligation does not supersede the obligations one has to those people most familiar to them. However, as Judith Butler questions, "at what cost do I establish the familiar as the criterion" for valuing others? (Precarious Life 38). If one values the familiar more than the foreign, what are the consequences? Paul Gilroy offers a possible alternative to this emphasis on familiarity arguing that "methodical cultivation of a degree of estrangement from one's own culture and history ... might qualify as essential to a cosmopolitan commitment" (The Planet 67). This estrangement entails a "process of exposure to otherness" in order to foster "the irreducible value of diversity within sameness" (67). Estrangement, therefore, could lead to de-emphasising the familiar in ethics by integrating otherness. For Gilroy, being cosmopolitan seems to involve both a social, ethical enterprise and a cultural enterprise. In "The Planet", Gilroy describes the cases of Tom Hurndall (80) and Rachel Corrie (81); each seems to exemplify what might be considered Gilroy's figure of the cosmopolitan. Both Hurndall and Corrie removed themselves (geographically) from their home cultures, presumably both physically and mentally estranging themselves from their own cultures and histories. Interestingly, though, Hurndall and Corrie were both killed in 2003 (in separate incidents) and their stories might serve as affirmations of familiarity, rather than models of estrangement. Gilroy’s model of estrangement might actually undermine itself through its examples; this might be construed as a failure of Gilroy’s theory to address the practical difficulties of estranging oneself from the familiar. The Venus Project, an international, multidisciplinary educational organization created by Jacque Fresco, works to spread cosmopolitan ideas by transcending artificial boundaries currently separating people and emphasizing an understanding our interdependence with nature and each other. Some forms of cosmopolitanism also fail to address the potential for economic colonization by powerful countries over less powerful ones. Frantz Fanon, in “The Wretched of the Earth”, observes that when nations achieved independence from European colonizers, frequently there was no system in place to secure their economic future, and they became "manager[s] for Western enterprise...in practise set[ting] up its country as the brothel of Europe" (154). When "third world" nations are drawn into economic partnerships with global capital, ostensibly to improve their national quality of life, often the only ones benefitting from this partnership are well-placed individuals and not the nation itself. Further, Mahmood Mamdani in Good Muslim, Bad Muslim suggests that the imposition of Western cultural norms, democracy and Christianity to name only two, has historically resulted in nationalist violence; however, Appiah has implied that democracy is a pre-requisite for cosmopolitan intervention in developing nations (Kindness to Strangers 169). Cosmopolitanism, in these instances, appears to be a new form of colonization: the powerful exploit the weak and the weak eventually fight back. Much of the political thinking of the last two centuries has taken nationalism and the framework of the sovereign nation-state for granted. Now, with the advance of globalization and the increased facility of travel and communication, some thinkers consider that the political system based on the nation-state has become obsolete and that it is time to design a better and more efficient alternative. Jesús Mosterín analyzes how the world political system should be organized in order to maximize individual freedom and individual opportunity. Rejecting as muddled the metaphysical notion of free will, he focuses on political freedom, the absence of coercion or interference by others in personal decisions. Because of the tendencies to violence and aggression that lurk in human nature, some constraint on freedom is necessary for peaceful and fruitful social interaction, but the more freedom we enjoy, the better. More general philosophical reviews of cosmopolitanism and multiculturalism are also available. Carol Nicholson compares the John Searle's opposition to multiculturalism with Charles Taylor's celebration of it. She uses Richard Rorty as a triangulation point in that he remains neutral about multiculturalism, but his philosophical analysis of truth and practice can be deployed to argue against Searle and in favor of Taylor. At a conference on "Philosophy in a Multicultural Context," Rasmus Winther excavated the philosophical assumptions and practices connected with cosmopolitanism and multiculturalism. He develops Bruno Latour's conception of the philosopher as public diplomat. Ulrich Beck (May 15, 1944 – January 1, 2015) was a sociologist who posed the new concept of cosmopolitan critical theory in direct opposition to traditional nation-state politics. Nation-state theory sees power relations only among different state actors, and excludes a global economy, or subjugates it to the nation-state model. Cosmopolitanism sees global capital as a possible threat to the nation state and places it within a meta-power game in which global capital, states and civil society are its players. A number of philosophers, including Emmanuel Levinas, have introduced the concept of the "Other". For Levinas, the Other is given context in ethics and responsibility; we should think of the Other as anyone and everyone outside ourselves. According to Levinas, our initial interactions with the Other occur before we form a will—the ability to make choices. The Other addresses us and we respond: even the absence of response is a response. We are thus conditioned by the Other's address and begin to form culture and identity. After the formation of the will, we choose whether to identify with the addresses by others and, as a result, continue the process of forming identity. In addition, cosmopolitanism calls for equal protection of the environment and against the negative side effects of technological development. Human dignity, however, is convoluted because it is necessary to first distinguish who has the right to be respected and second to consider what rights are protectable. Under cosmopolitanism, all humans have rights; however, history shows that recognition of these rights is not guaranteed. As an example, Judith Butler discusses a Western discourse of "human" in Precarious Life: The Powers of Mourning and Violence. Butler works through the idea of "human" and notes that "human" has been "naturalized in its 'Western' mold by the contemporary workings of humanism" (32). Thus, there is the idea that not all "human" lives will be supported in the same way, indeed, that some human lives are worth more protection than others. Others have extended this idea to examine how animals might be reconfigured as cosmopolitan, present the world-over with varying identities in different places. This idea is reiterated in Sunera Thobani's "Nationality in the Age of Global Terror," where she discusses a discourse in which Muslim people fall into a good/bad dichotomy: a "good Muslim" is one who has been Westernized and a "bad Muslim" is one who visibly rejects Western cultural influences. Thobani notes that it is through media representations that these ideas become naturalized. Individuals who embrace Western ideals are considered fully "human" and are more likely to be afforded dignity and protection than those who defend their non-Westernized cultural identities. According to those who follow Beck's reasoning, a cosmopolitan world would consist of a plurality of states, which would use global and regional consensus to gain greater bargaining power against opponents. States would also utilise the power of civil society actors such as Non-governmental organizations (NGOs) and consumers to strengthen their legitimacy and enlist the help of investors to pursue a cosmopolitan agenda. Other authors imagine a cosmopolitan world moving beyond today's conception of nation-states. These scholars argue that a truly cosmopolitan identity of Global Citizen will take hold, diminishing the importance of national identities. The formation of a global citizens movement would lead to the establishment of democratic global institutions, creating the space for global political discourse and decisions, would in turn reinforce the notion of citizenship at a global level. Nested structures of governance balancing the principles of irreducibility (i.e., the notion that certain problems can only be addressed at the global level, such as global warming) and subsidiarity (i.e., the notion that decisions should be made at as local a level possible) would thus form the basis for a cosmopolitan political order. Daniele Archibugi proposes a renewed model for global citizenship: institutional cosmopolitanism. It advocates some reforms in global governance to allow world citizens to take more directly a part into political life. A number of proposals have been made in order to make this possible. Cosmopolitan democracy, for example, suggests strengthening the United Nations and other international organizations by creating a World Parliamentary Assembly. ↑ Anthony Appiah, Kwame (1997). "Cosmopolitan Patriots". Critical Inquiry. 23 (3): 617–39. doi:10.1086/448846. ↑ κοσμοπολίτης. Liddell, Henry George; Scott, Robert; A Greek–English Lexicon at the Perseus Project. ↑ "cosmopolitan". "cosmopolite". Online Etymology Dictionary. ↑ James, Paul (2014). Globalization and Politics, Vol. 4: Political Philosophies of the Global. London: Sage Publications. p. x. ↑ Diogenes Laertius, The Lives of Eminent Philosophers, Book VI, passage 63; online text in Greek and in English at the Perseus Project. 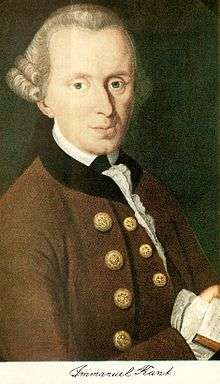 ↑ Immanuel Kant. 'Toward Perpetual Peace' in Practical Philosophy – Cambridge Edition of the Works of Immanuel Kant. Gregor MJ (trans.). Cambridge University Press, Cambridge. 1999. p329 (8:358). ↑ Bennington, Geoffrey (1 December 1997). "Politics and Friendship: A Discussion with Jacques Derrida". Sussex, UK: Centre for Modern French Thought, University of Sussex. Retrieved 16 July 2012. ↑ Thich Nhat Hanh, Being Peace. (1987) Berkeley: Parallax, 1996. 1 2 Gilroy, Paul. After Empire: Multiculture or Postcolonial Melancholia. New York: Columbia UP, 2005. ↑ Fanon, Frantz. "The Pitfalls of National Consciousness" in The Wretched of the Earth. ↑ Mamdani, Mahmood. Good Muslim, Bad Muslim: America, the Cold War, and the Roots of Terror. New York: Pantheon Books, 2004. ↑ Appiah, Anthony Kwame. "Moral Disagreement" and "Kindness to Strangers" in Cosmopolitanism: Ethics in a World of Strangers. New York: W. W. Norton and Co., 2006. pp. 45–68, 155–174. ↑ Mosterín, Jesús (2008). La cultura de la libertad. Madrid: Espasa-Calpe. 304 pp. ISBN 978-84-670-2697-9. ↑ Mosterín, Jesús (2005). "A World without Nation States". Acta Institutionis Philosophiae et Aestheticae (Tokyo), vol. 23 (2005), pp. 55–77. ↑ Blattberg, Charles (5 April 2012). Kymlicka, Will; Walker, Kathryn, eds. "We Are All Compatriots". Rooted Cosmopolitanism. Vancouver: UBC Press. Retrieved 10 April 2012 – via Social Science Research Network. ↑ Barua, Maan (2013). "Circulating Elephants: Unpacking the Geographies of a Cosmopolitan Animal". Transactions of the Institute of British Geographers. 0. Retrieved 21 December 2013. ↑ Daniele Archibugi, The Global Commonwealth of Citizens: Toward a Cosmopolitan Democracy, Princeton University Press, 2009. ↑ Daniele Archibugi, Debating Cosmopolitics, London: Verso, 2003. Anderson, Amanda (1998). "Cosmopolitanism, Universalism, and the Divided Legacies of Modernity". In Cosmopolitics: Thinking and Feeling beyond the Nation, edited by P. Cheah and B. Robbins. Minneapolis and London: University of Minnesota Press. Ankerl, Guy (2000). Global communication without universal civilization. INU societal research. Vol.1: Coexisting contemporary civilizations : Arabo-Muslim, Bharati, Chinese, and Western. Geneva: INU Press. ISBN 2-88155-004-5. Appiah, Kwame Anthony (2006). Cosmopolitanism: Ethics in a world of strangers. New York: W. W. Norton and Co.
Archibugi, Daniele and Held, David editors, (1995). Cosmopolitan Democracy. An Agenda for a New World Order. Cambridge: Polity Press. Barua,M. (2013). "Circulating elephants: unpacking the geographies of a cosmopolitan animal". Transactions of the Institute of British Geographers. 0. Retrieved 21 December 2013. Beck, Ulrich (2005). Power in the Global Age, Cambridge: Polity Press. Brock, Gillian and Brighouse, Harry (2005) The Political Philosophy of Cosmopolitanism, edited by Cambridge University Press. Cotesta, Vittorio, Cicchelli, Vincenzo and Nocenzi, Mariella (eds), Global Society, Cosmopolitanism and Human Rights, Cambridge: Cambridge Scholar Publishing. James, Paul (2014). Globalization and Politics, Vol. 4: Political Philosophies of the Global. London: Sage Publications. Kleingeld, Pauline; Brown, Eric. Edward N. Zalta, ed. Cosmopolitanism (Fall 2002 ed.). The Stanford Encyclopedia of Philosophy. Palmer, Tom G. (2008). "Cosmopolitanism". In Hamowy, Ronald. The Encyclopedia of Libertarianism. Thousand Oaks, CA: SAGE; Cato Institute. pp. 107–09. ISBN 978-1-4129-6580-4. LCCN 2008009151. OCLC 750831024. Robbins, Bruce (1998). "Comparative Cosmopolitanisms". In Cosmopolitics: Thinking and Feeling beyond the Nation, edited by P. Cheah and B. Robbins. Minneapolis and London: University of Minnesota Press. Kleingeld, Pauline; Brown, Eric. "Cosmopolitanism". Stanford Encyclopedia of Philosophy.